The property market in Thailand has been booming for several years and holiday villas are the preferred choice for a large number of foreign investors, especially on islands like Phuket and Koh Samui. 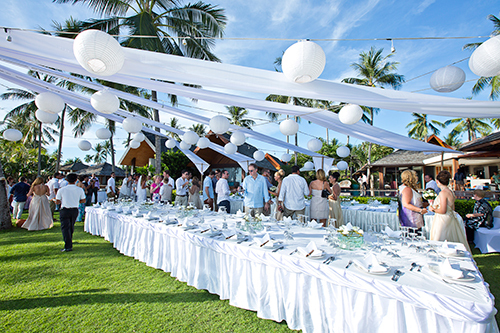 Established agencies like Luxury Villas and Homes offer management and rental services to owners who do not spend the whole year in their villa and one of the most popular choices for rental clients is to use the villa as a wedding venue. Renting a luxury private villa for your wedding guarantees a totally personal experience while at the same time providing the kind of flexibility that many couples need when organising a ceremony so far away from home. The sheer indulgence of getting married in your own beach or hillside villa adds further appeal and makes the event a truly memorable experience for everyone involved. The best villa rentals in Thailand now feature a full service concept. Villa agencies like Luxury Villas and Homes train and provide staff for their villas, often including an multi-lingual villa manager to take care of specific requests and even a chef to prepare food for guests. With the addition of a few extra staff members and a wedding planner, couples can arrange and enjoy their entire wedding in the privacy of their own luxury residence. 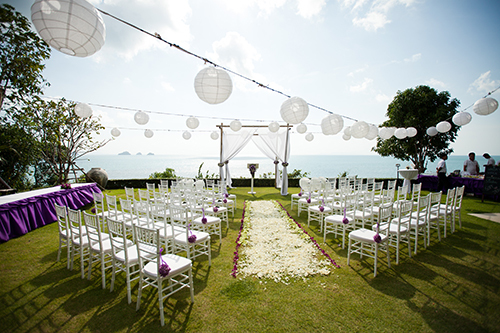 Full service weddings are becoming increasingly popular, particularly in Thailand’s resort destinations where the joy of a private villa wedding is made even more special by the beauty of the tropical island location.